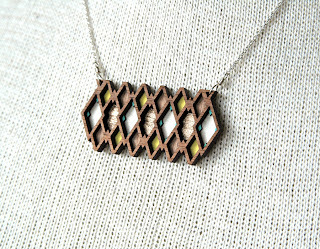 Linnea Oliver of Bird of Virtue is a new vendor at this year's Crafterino . 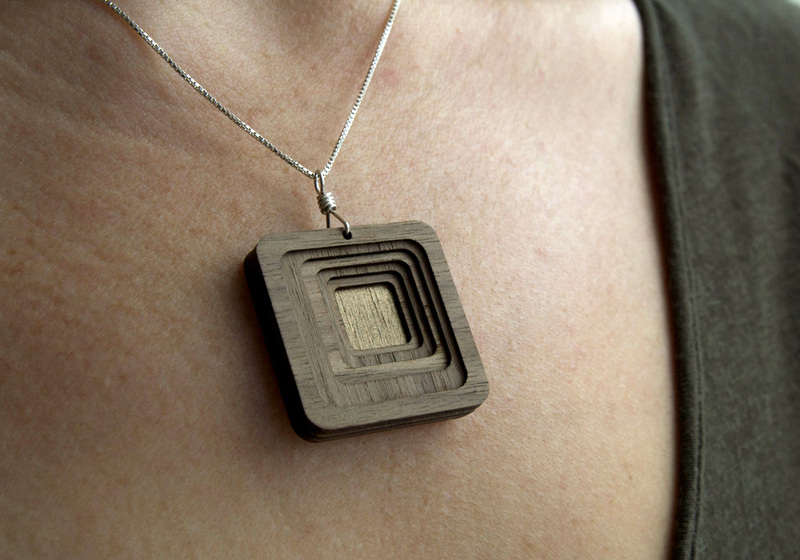 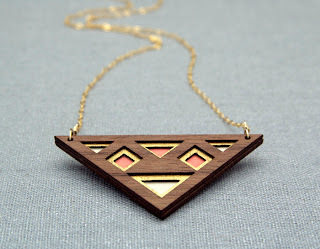 She designs and makes geometric, statement-making, modern jewelry and accessories for women + men. 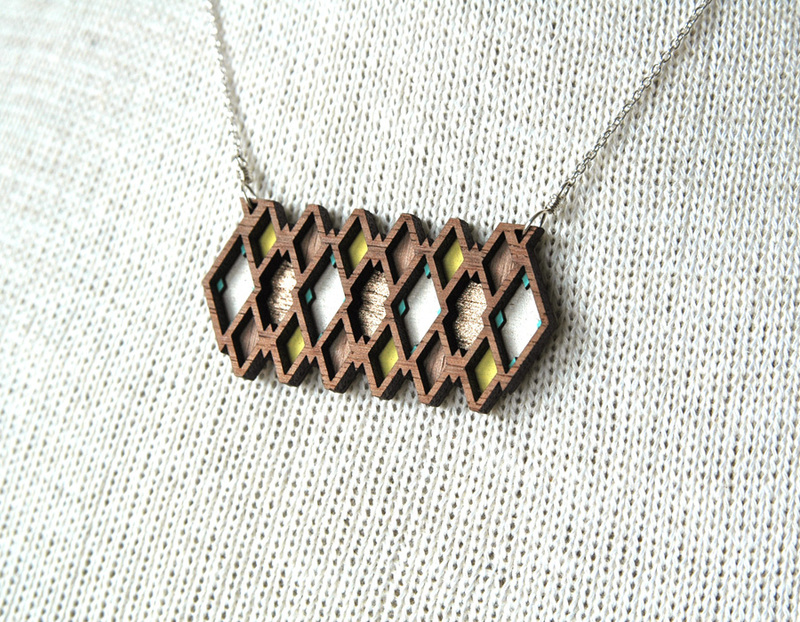 Locally made in SF out of intricate laser cut hardwoods, each piece is meticulously hand-painted + finished on handmade semi-precious metal findings.